Readers of all ages will be delighted by this wonderful retelling of an enchanting folktale - a story for Easter, Christmas and all year round. Tim Jonke's luminous paintings provide an added sense of depth and wonder. 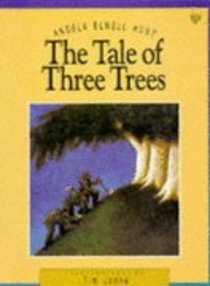 About "The Tale of Three Trees"
Part of a reissued selection of picture storybooks in paperback. Three young trees make their wishes* one to become a ship, another a treasure chest, the third to grow for ever and point to God. This is a retelling of a traditional folktale. Winner of the W.H.Smith Illustration Award 1990.
:Three young trees make their wishes: one to become a ship, another a treasure chest, the third to grow for ever and point to God. Their wishes are strangely fulfilled.